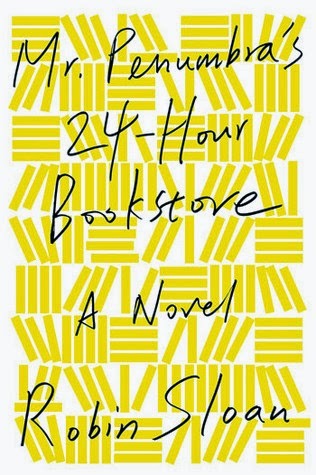 Mr. Penumbra's 24-Hour Bookstore by Robin Sloan drew me in with a description of a millennial-ish aged person reevaluating their options and transitioning from the mindset of "I need to find a career that highlights my talents and specific training" to "I need to find a job--any job--because I need to pay my rent. Also food would be nice." Once again, I stumbled upon a character with identifiable traits and personality development. The narration style employed by Sloan was also very reminiscent of the narrator from Ernest Cline's Ready Player One; which, incidentally, was another book that a) I personally loved and b) has been highlighted on this blog previously. The story progresses into a plot that sounds like a set-up to an Indiana Jones story: a bookstore out of which ancient secret society operates, combing through the bookstore's secret collection in search of the code that cracks the society founder's secret to eternal life. I will admit that at this point, I almost put the book down since this is a plot that is starting to wear thin--having read it multiple times, each time I pick up a Dan Brown book. However I have a (sometimes frustrating) habit of doggedly determining to finish any book I start reading. So I kept reading. And I'm very glad I did, because the story took a turn that I did not expect and wound up being one of my favourite discoveries of the year. What you think is going to turn into a story about a search for a paranormal and supernatural secret to eternal life, actually becomes a metaphor for the continuing quest to obtain, preserve, and display information in the form of words and writing. It's a story about the development, progress, and importance of words. This book is an allegory for the paper book vs. e-book argument/battle happening everywhere all the time over the last five years. The split between the two primary leaders of the ancient society (The Society of the Unbroken Spine) over the methods by which the society members decode the codex is eerily familiar; the store owner, Mr. Penumbra, in favour of embracing the emerging technology in order to better access the hidden facets of the codex, while the society leader struggles to keep the society strictly in the dark ages and only rely on the methods used by the society's founder with no outside aid from any technology other than a pen and paper. There's a moment in the book when Clay and Penumbra are in the secret underground vault of the society, where Penumbra remarks what a hassle it was to get the leader to agree even to install electric lighting in the vault to aid those doing the bulk of the code breaking work. Someone wanting to using technology to advance a society forward, versus someone struggling to keep a society firmly entrenched in the past? Sounds so familiar, almost like I've had that exact argument before. Repeatedly. Every day. And the protagonists of this book are not simply in favour of technology replacing analogue sources--that's usually the argument that anti-tech. people resort to when attacking new technology. That would be a weird argument to make, considering I read the print copy of this book, and not the e-book (though that exists as well). Rather, the story in this book is a metaphor for using the emerging technology to improve the access to information provided to people, not to replace way the information is provided. It's to take information that once was difficult to access, or obtuse to wield, and make that information available easier and more reasonably. Mr. Penumbra's mindset regarding wireless technology and computers is one that I share and try to verbalize every time I am confronted with the phrase "Why get your library degree? Won't e-readers make your job obsolete in the next [insert arbitrary time frame here]?" This comment is usually met on my part by a heavy sigh before launching into a long and detailed explanation of "No, librarians don't just read books all day, there's actually a lot of work involving computers that happens, there's also reader's advisory, collection management, cataloging, reference advisory, and quite frankly there are tons of different non-public library jobs that require a library degree like for example archive management, lots of digital records management, or sometimes even museum curator (depending on the museum)--wait why are you leaving? Come back, I haven't even gotten to databases yet!" Computers, e-readers, the internet...these technologies are not the enemy of books and libraries. They won't make print sources obsolete, they won't put libraries out of business, there won't be abandoned landfills full of paper books. What this technology is doing is taking the information provided and making it easier and faster to access, so that it is possible to find more and advance society in a better direction. This book is a metaphor on the dangers of trying to halt development in favour of glorifying and remaining entrenched in the past instead of acknowledging the both the accomplishments and the mistakes of the past and building on them in order to build a better future. 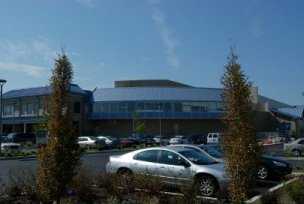 You can find Mr. Penumbra's 24-Hour Bookstore at the Ocean City Free Public Library.